Yes, you read that right – FANTASTICAL. As in…fantastical combination of flavors that coat and steam-cook the salmon in the foil pack. I adore “foil packs” and you will be seeing more of them over the coming weeks and months. They are great for the grill in the summer, but also the oven in the fall-winter months. And they are just fun and different to prep! 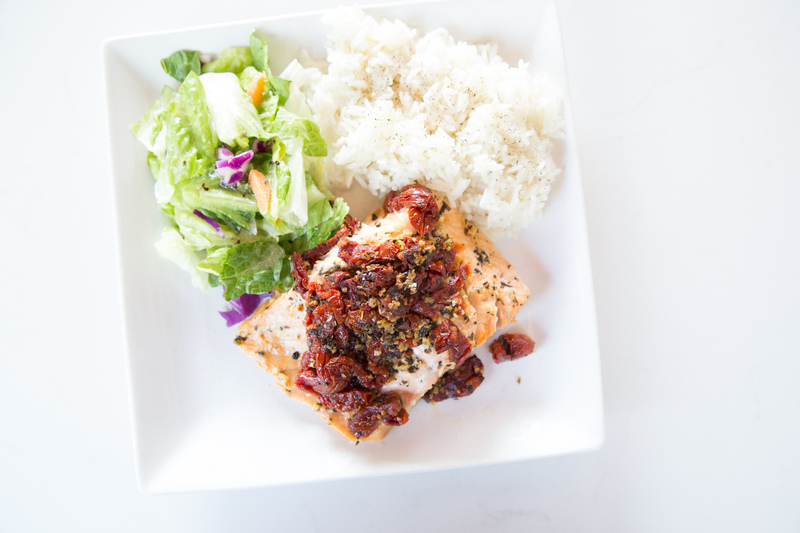 This rich and delicious salmon will rock your dinnertime socks off! Cut the salmon fillet into number of pieces for serving individually. Keep the skin on the salmon. Place each salmon serving into a piece of foil that is large enough to wrap around the sauce and salmon. In a small mixing bowl, whisk together the olive oil, lemon juice, minced garlic, basil and sun-dried tomatoes. Evenly divide and pour over the salmon fillets in the foil packs. Wrap the foil up into packs. Grill around 400 F for 12 to 15 minutes, or until salmon is cooked through. Cooking time may vary, depending on thickness of the salmon and heat consistency of the grill. 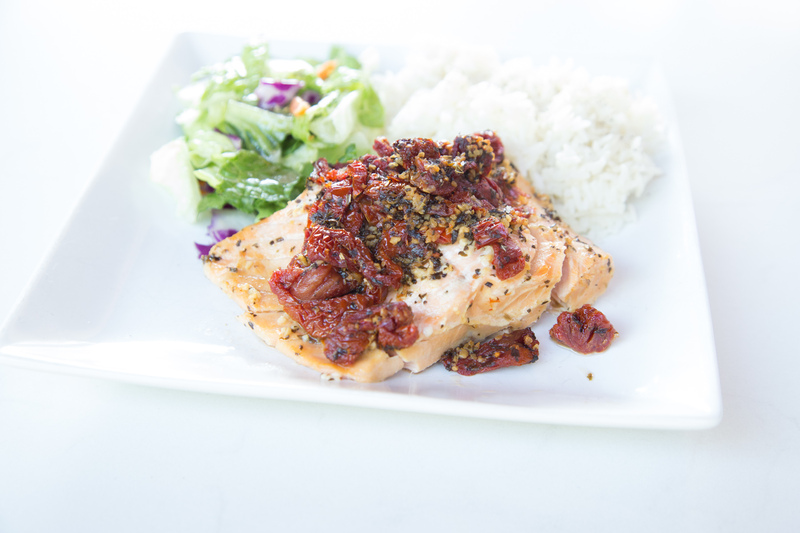 Serve Sun-Dried Tomato Salmon with rice and veggies. Side Dish Note: Serve with cauli-rice or other veggie for Paleo/Whole30 meal. Cooking Method Note: these can also be baked at 400 F for 15 to 20 minutes, or until salmon is cooked through.